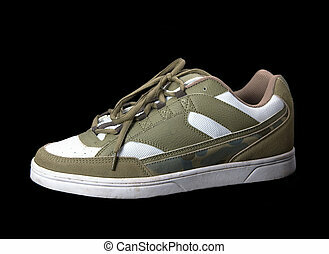 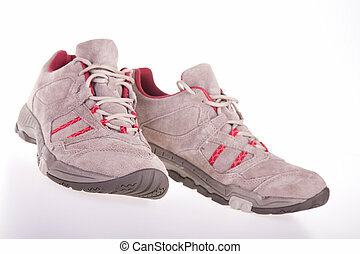 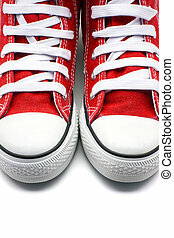 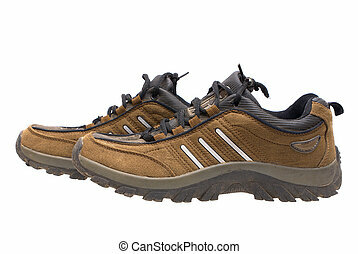 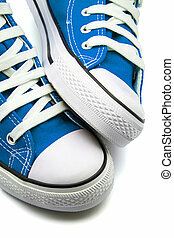 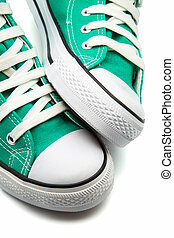 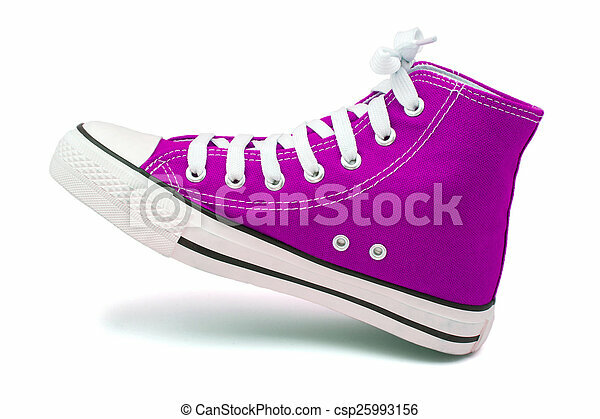 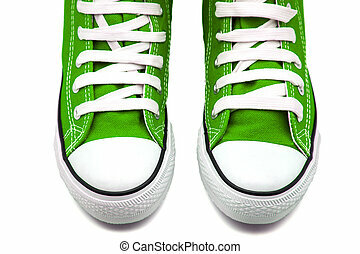 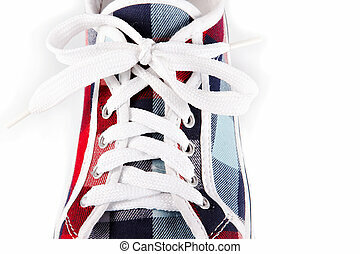 Sports footwear on white background. 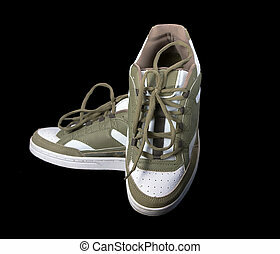 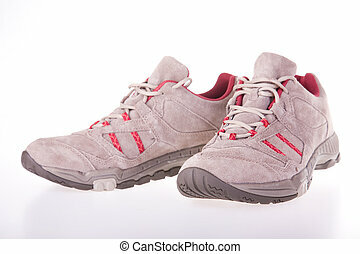 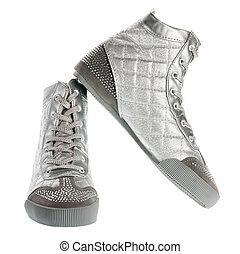 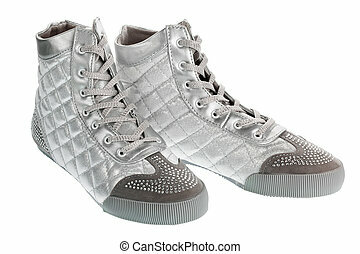 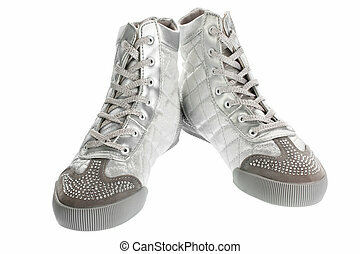 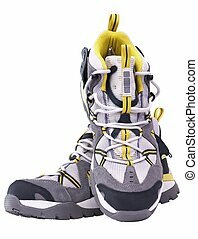 Sports footwear on a white background. 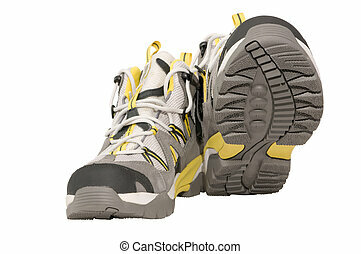 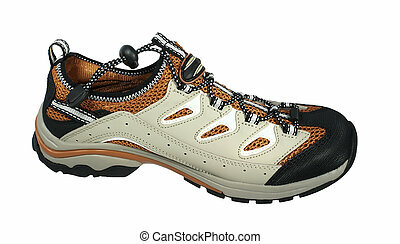 Beautiful and convenient sports footwear, on a pure white background. 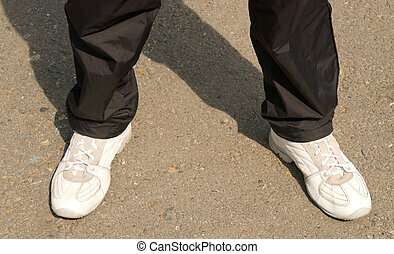 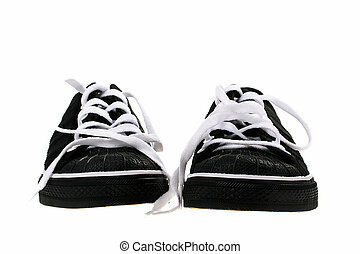 Black sports footwear with white laces for employment indoors and on court. 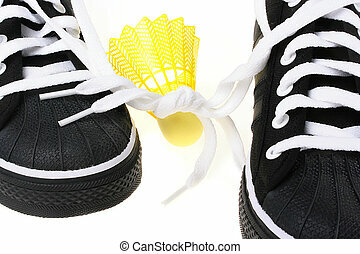 Black sports footwear with the connected laces and a flounce for game in badminton.